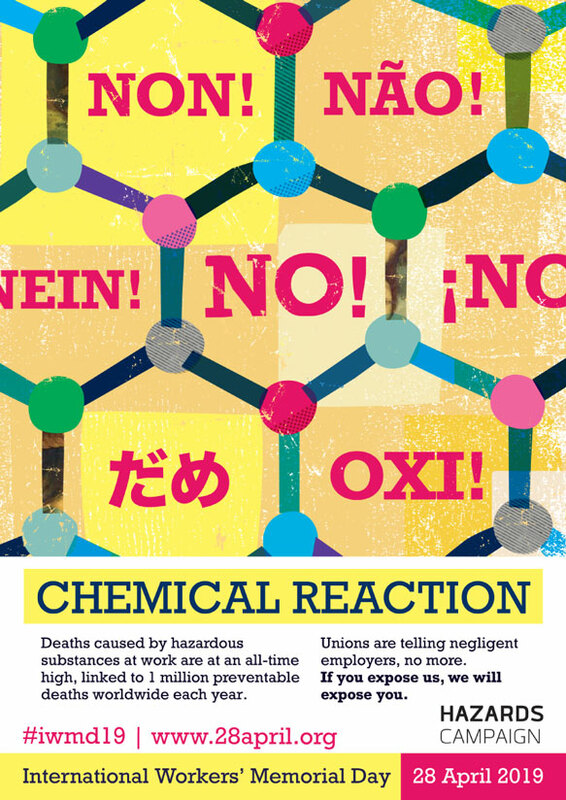 The UK Hazards Campaign, in conjunction with Hazards Magazine, has produced two striking International Workers’ Memorial Day 2019 posters. They are available for UK unions and activists in A4 and A3 sizes from the Campaign. Posters are free but postage must be paid on larger orders. Order here. The UK’s national trade union federation TUC has created a dedicated 2019 Workers’ Memorial Day webpage, which will list all events being held on the day. 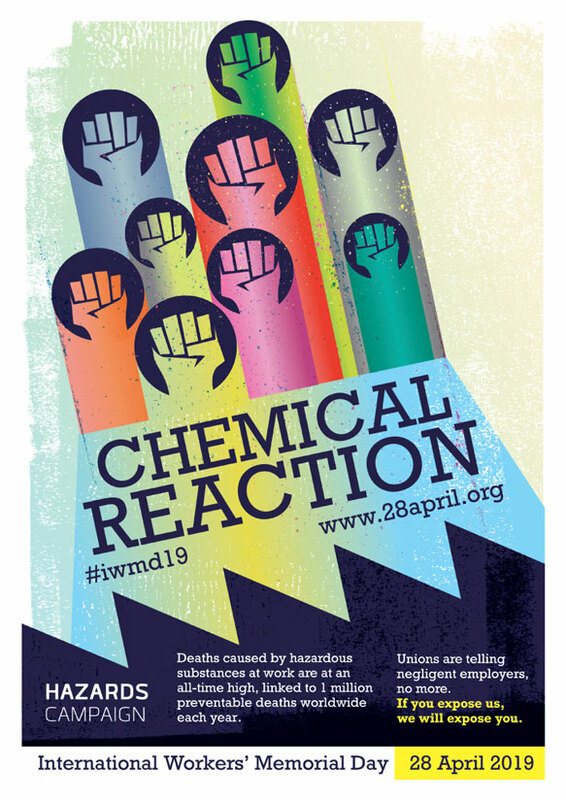 The 2019 theme for International Workers’ Memorial Day will be: “Dangerous substances – get them out of the workplace”. The focus will be mainly on carcinogens but unions can adapt the theme to whatever is most relevant in a particular workplace or area, as many substances can also cause illnesses such as asthma or dermatitis. When it comes to cancer risks caused by substances at work, asbestos and diesel exhaust are high profile issues for many workers at the moment – and the TUC has prepared detailed asbestos, diesel exhaust, and workplace cancers guides to help reps negotiate improvements.